The humble toilet is something we all use – every day of every week of every year. It goes by many names, including the loo, the dunny, the crapper and that’s just the polite ones!! In my opinion, Japanese toilets have got to be one of the best inventions ever to come from Japan. Toilets in Japan are different than any other toilets that you are accustomed to. The most popular of all is called ‘Washlet’. Anyone who has been to Japan may know about it. It has more advanced functions, including a bidet, blow dryer, seat heating, automatic flushing and many other features. It was first released by TOTO in 1980. It became so popular that now; a lot of families in Japan have a Washlet in their home. 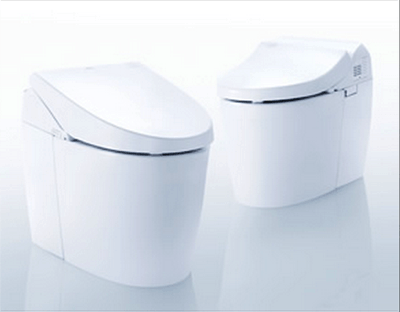 Another type of popular toilet is called ‘Regio’, made by INAX Corporation. It’s lid opens automatically, it plays relaxing music while you are doing your business and it helps clean you afterwards with a gentle jet of water. Many Japanese struggle when they travel abroad as they cannot contemplate using any other types of toilet. They will find it’s hard to find toilets like Washlet or Regio standards anywhere, instead they will encounter many simple western toilets. If you are interested in purchasing one, it is not a bad idea. Many foreigners, even famous celebrities have bought these products. Being able to relax in a Japanese toilet is a great feeling but be warned – if you become a custom to these comfortable toilets you might realise it is difficult finding these in a bathroom especially in an emergency.